Our skilled, professional staff - at your service. So you’ve had a sewer line inspection with us, or your pipes have backed up and your plumber has told you that you need to replace your sewer pipes. He then gives you a quote of over $70,000 to replace all of the pipes inside the concrete foundation. That’s a lot of money!!! However, believe it or not, its a reasonable quote and that is what most plumbers or contractors will charge. The reason for this is mainly because of the concrete foundation. Here in Florida, depending on the year the house was built, you may have a crawlspace underneath your home. If this is the case, then the quote of $70,000 is too high because replacing the pipes is not that complicated or hard to do because you can easily access the piping from underneath the house. Normally, a home in Miami-Dade and Broward counties built before the 1950s has a crawlspace because we were still using elevated foundations at the time. However, if the home (generally speaking) was built between the 1950s-1970s then the home most probably has a concrete foundation WITH cast iron piping. We stopped using cast iron piping in the late 1970s. So anything built after that still has a concrete foundation but it also has PVC piping instead which means it doesn’t come with the problems cast iron piping does. Cast iron piping is no longer used in new homes and most likely not in any houses built after the 1980's. 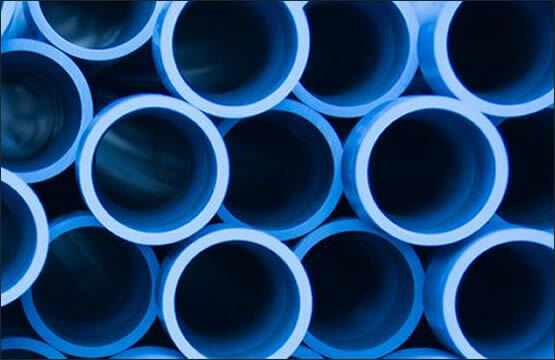 The biggest problem with cast iron pipes is that it is susceptible to rust and corrosion which over time causes holes and cracks in the pipes system. With a cracked cast iron pipe, the sewage doesn’t reach its correct destination and instead stays under your home. One of our main specialties is the installation of cast in place resin pipes. 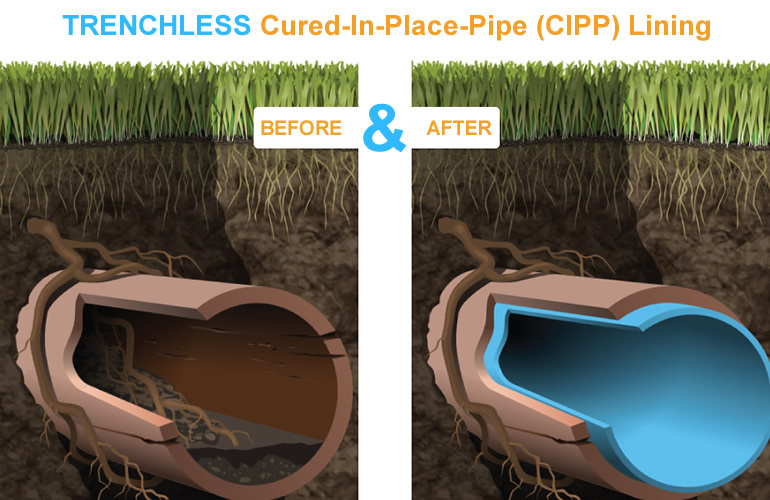 Our CIPP technology allows us to repair your pipes without the need to break up the floor or create new trenches. Some of the many benefits of CIPP are the lack of evacuation or the property or the dismantling of the floors. It is more cost effective and can be done in a matter of days. We even offer a 50 Year warranty. Please call us now at (786) 322-4600 to order our sewer pipes repair or replacement. The CIPP lining is technology driven sewer line solution. Additionally, it is by far simpler, faster, and cheaper than the traditional dig and replace repair method. It involves the installing a new sewer line inside the existing sewer line, thereby solving the leakage problem but at the same time keeping the cost of the project quite low since there is no excavation involved. With the exception of the entry and end point of the sewer line. This method involves installing an epoxy saturated lining through the prepared drain line. Through the access point, the flexible lining is fed into the sewer line all the way up to the main sewer line connection.The inner lining is left to sure, thus forming a hard, impermeable lining that repairs seal of any leak. However, owing to the fact that the lining is installed inside the pipe, the interior diameter will reduce a bit. However, this does not affect the flow rate along the line. Some homes are unable to have their cast iron pipes repaired through CIPP replacement methods. We offer many other options such as part replacement and installation of PVC piping to help insure your home is leak free! Please call us now at (786) 322-4600 to order our sewer pipes repair or replacement service.